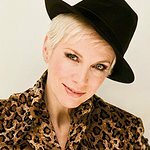 Annie Lennox is encouraging people to sign a new petition that aims to change laws concerning Scottish people who die abroad. Under current laws, there is no mandatory investigation of cases where Scottish people are killed while overseas, which leaves many grieving families without answers of their loved ones’ last movements. This was highlighted by a recent case involving Scottish teenager Colin Love, who was drowned off the coast of Venezuela earlier this year. His family and friends are frustrated the Scottish coroner did not hold a fatal accident investigation into his death, a frustration that makes his death more difficult to grieve. Colin’s mother is behind a new petition calling on the Scottish Parliament to urge the Scottish Government to give the same level of protection to the families of people from Scotland who die abroad as is currently in place for people from England by amending the Fatal Accidents and Sudden Deaths Enquiries (Scotland) Act 1976 to require the holding of a fatal accident enquiry when a person from Scotland dies abroad. To find out more about the campaign, visit the website. To sign the petition, click here.